Board now the most stylish, ultra-slick boat in the world. Maybe you don’t have the cash to buy one of these handcrafted and tailor-made beauties, but for a modest 5700 euro a day, you can rent a Wally in the Med. We must admit, it’s a hard choice between all those streamlined beauties. First there is the 106′ ” WALLY B”, sailing around the Western Mediterranean like Sardinia, Cote d’Azur, Corsica and Southern Italy. 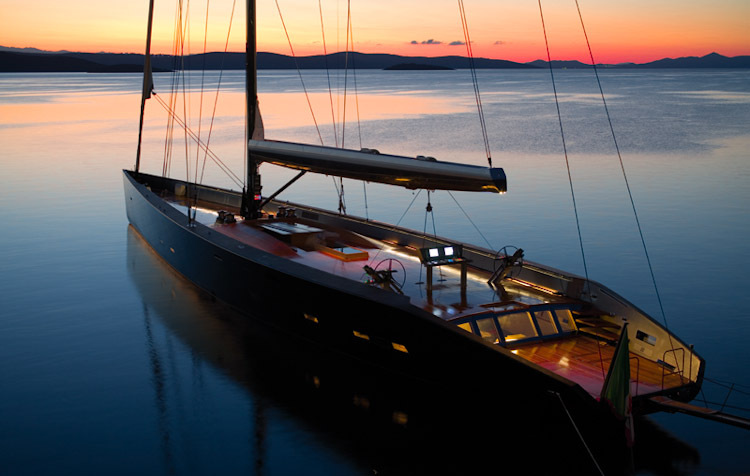 This sailing beauty can host 6 guests and has a crew of 5 (skipper, deck hand, engineer, cook and stewardess). All this sleekness you can have for 59.000 euro per week. BYO, because all the prices mentioned do not include food, beverages, fuel and harbour expenses. Another option, slightly cheaper is the Wally 100’ “Dark Shadow”, also hosting 6 guests in 3 cabins and available for 50.000 a week. New since summer 2011 is the 94 “BARONG C”. 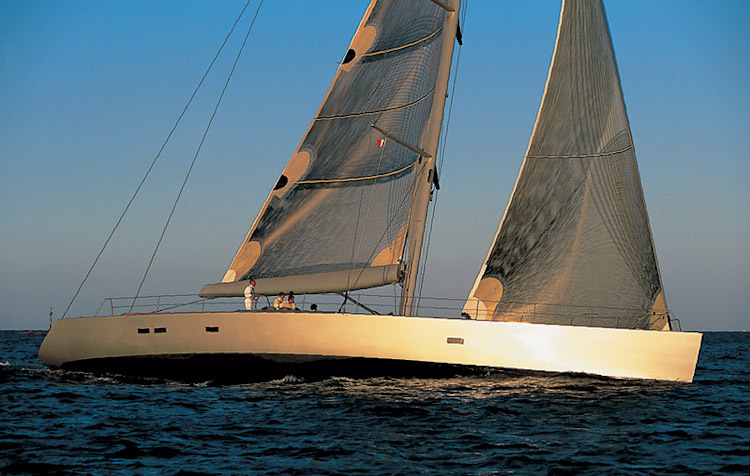 An elegant, 29 meters long sailing and motorboat and available in the Western Mediterranean. Think of the blue waters around Sardinia, Corsica, Cote d’Azur, Baleares and Sicily for 40.000 euro a week with a crew of three. Although the Barong C is all about speed, this boat is modern and contemporary in every way. 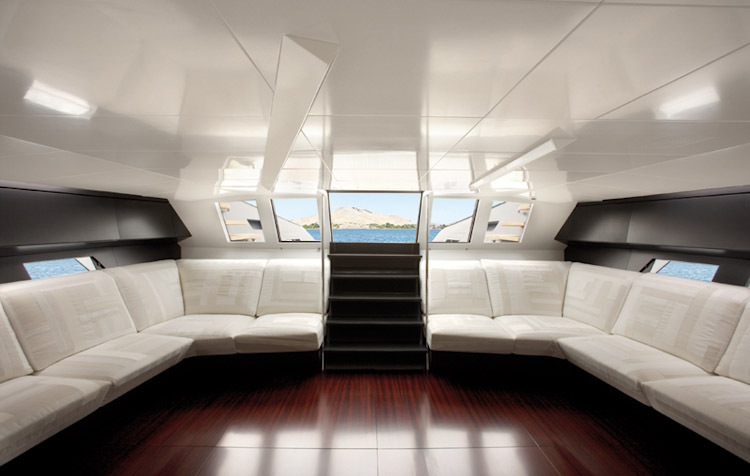 The interior design offers extraordinary height and plenty of deck hatches, portholes and windows for exceptional natural light and ventilation. A Last option is the Wally 80 “TANGO”, the lowest priced at 40.000 a week, accommodating 6 people and offering the services of 3 crew members. Recently the fashion house Hermès has acquired 10% of the Wally Group. This will only contribute to the pure and stylish look of those floating, minimalistic silhouettes. We just tried out the prototype of the Wally One at Amanzoe Resort, Greece. A new breed of sleek tender with 740HP, with a stunning topspeed of 90km/hour, or 50Kn. 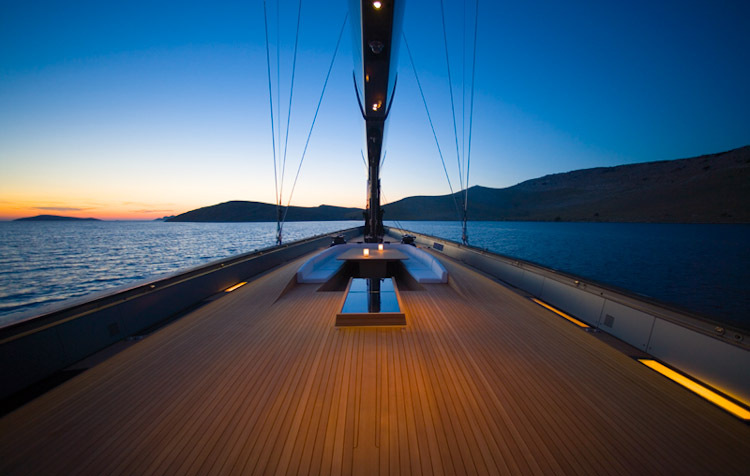 You can charter the tender at 1600EUR a day. Or book a sunset (or should we call it sunjet) cruise at 500EUR. Check out some recent photos on our Facebook page!